Development powerhouse, Kojima Productions, continues forth the ‘METAL GEAR SOLID V Experience’ with the latest chapter, METAL GEAR SOLID V: The Phantom Pain. 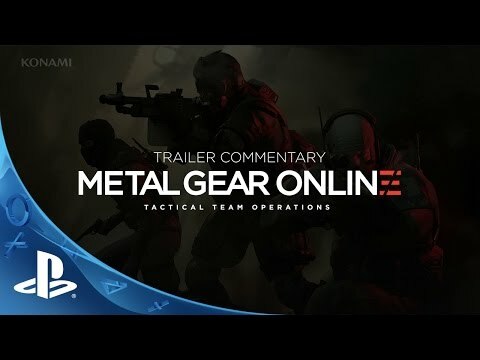 Add-on game data for MGSV: THE PHANTOM PAIN required to play METAL GEAR ONLINE. To play METAL GEAR ONLINE, users must also download and install the latest patch for MGSV: THE PHANTOM PAIN. *PlayStation®Plus required for online play on PS4™ system. Play and experiment with the cassette tapes you earn along the way, some unexpected results may vary with each tape. For example: try playing Quiet’s humming while aiming your sniper rifle. Weather effects have multiple results not just with you and the guards around you, but with your weapons, and tools. For example: try hiding in a box while it’s raining. There are multiple methods of travel all throughout the game, from jumping in your copter, to riding D-Horse or D-Walker. You can also steal vehicles, jeeps, trucks, and even tanks and armored vehicles. If you’re really stuck, you can collect invoices at major outposts, hop in your cardboard box and hitch a ride to other locations. Playing a mission, side-op or freeplay with your buddy improves the bond and can result in unlocking new moves and available gear. Armored vehicles and powerful tanks dot the landscape, but can be dealt with using high-powered weaponry. If you prefer to keep things stealthy, you can also try to sneak up on them with your fulton device at the ready and watch them soar. Enemies adapt to your tactics throughout your missions. If you pull off a lot of headshots, the enemy will begin wearing protective helmets. If you attack at night, the enemy will wear night-vision goggles. Adjust your tactics, and keep up with the ever changing landscape of battle. The enemy responds not only to visible queues but also unique sounds like footsteps, items you might bump into, or even the absence of noises like radios. Keep all your senses in mind when infiltrating enemy outposts, even on occasion the enemy’s sense of smell! Listen to your fellow Diamond Dog soldiers on the deck of Mother Base; they’ll drop clues about the surrounding missions, help you flesh out the backstory, and give you some insight into the morale with your crew. 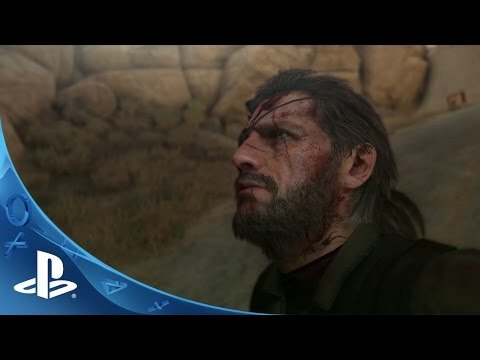 Metal Gear Solid V takes place in an open world, not just in places to visit, but also in gameplay. Each environment is suited for multiple forms of infiltration and destruction. To truly enjoy the game, experiment with your weapons and tools and try new things. Konami Digital Entertainment continue forth the ‘METAL GEAR SOLID V Experience’ with the latest chapter, METAL GEAR SOLID V: The Phantom Pain. 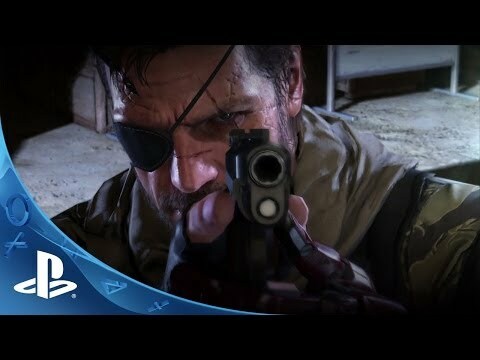 Ushering in a new era for the franchise with cutting-edge technology powered by the Fox Engine, MGSV: The Phantom Pain, will provide players a first-rate gaming experience as they are offered tactical freedom to carry out open-world missions. 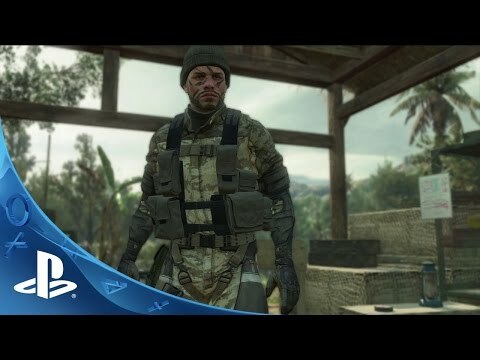 One of the most anticipated games of the year with its open-world design, photorealistic visual fidelity and feature-rich game design, MGSV: The Phantom Pain will leave its mark as one of the hallmarks in the gaming industry for its cinematic storytelling, heavy themes, and immersive tactical gameplay.